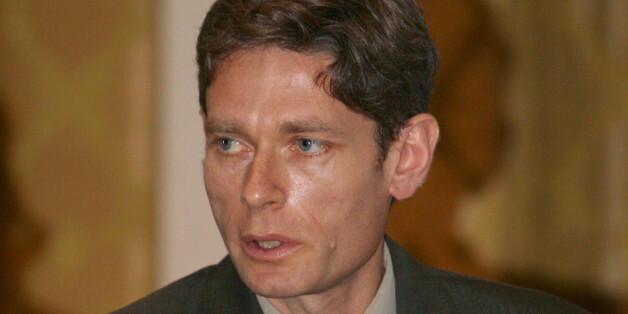 Malinowski's sin was, apparently, to talk to Bahrain's main opposition party Al Wifaq without including a member of the local government in the discussion. Malinowski was doing the right thing in exploring relationships with the opposition and was due to meet leading members of civil society too. That is what seems to have spooked the regime and led to his being designated as "unwelcome." Perhaps most ominously, the day after Malinowski was asked to leave, the two top Al Wifaq leaders who had met him were called for interrogation by the security forces. Those of us who have been following Bahrain's political crisis over the last few years see it as just the latest incident in a series of rifts between Manama and Washington, and the Bahrain-U.S. government relationship appears to be in freefall. Last week the Bahrain regime further cemented new ties with the Kremlin at a time when the State Department is trying to isolate the Putin government over its aggression towards Ukraine. This is not the first time we've seen something like this from the Bahrain regime. In May 2011, in the early months of the Bahrain pro-democracy protests, the U. S. pulled its human rights officer, Ludovic Hood, from its Bahrain embassy following weeks of ethnic slurs and threats against him by a pro-government website and newspapers. Hood's photo and address were published, and linked to a wedding photo of him with his "Jewish wife." And in February 2012 another senior royal, Commander-in-Chief of the Bahrain Defence Force (BDF), Field Marshal Sheikh Khalifa Bin Ahmad Al Khalifa, was quoted in the local Gulf News charging the United States with being one of seven countries applying pressure on Bahrain and accusing 19 NGOs based in the United States of attempting a coup against Bahrain. Bahraini members of parliament have at various times called for U.S. Ambassador Thomas Krajeski to be replaced and for Michael Posner, Tom Malinsowski's predecessor as Assistant Secretary of State for the Bureau of Democracy, Human Rights and Labor, to be declared a persona non grata in Bahrain. Last year, in May 2013, the Bahrain cabinet -- whose senior members are the king's uncle the prime minister, and his eldest son the Crown Prince -- approved a parliamentary proposal to, as Information Minister Samira Rajab said, "put an end to the interference of U.S. Ambassador Thomas Krajeski in Bahrain's internal affairs." Tension further increased after President Obama's September 2013 speech to the U.N. General Assembly, where he referred to "efforts to resolve sectarian tensions that continue to surface in places like Iraq, Bahrain and Syria." Bahraini officials reacted sharply, with the Bahrain ambassador to the United States claiming, "The president's statement does not reflect Bahrain's well known history as a progressive outpost in the Middle East and the progress we have made in responding to the events of February and March 2011," while Bahrain's Minister of the Interior suggested, "Bahrain has never experienced a sectarian tension," and the Foreign Minister claimed that "the King's achievements" have "immunized our country against any sectarian tensions," although, in a March 2011 interview, the Foreign Minister was quoted as saying, "We are suffering from tension between Sunnis and Shiites." A few weeks later local media reports in Bahrain suggested that General Hugh Shelton, former U.S. military commander and chairman of the Joint Chiefs of Staff, had said that the Obama Administration had worked to destabilize the regimes of Bahrain and Egypt. Sources cited an interview allegedly given to Fox News where Gen. Shelton supposedly stated that the administration's plot was foiled by the king of Bahrain's decision to allow Saudi-sponsored GCC troops in to Bahrain to help crush the uprising in 2011. The U.S. embassy and U.S. Navy in Bahrain both immediately issued statements refuting these reports: "Gen. Shelton confirmed he had never given -- and will never give -- such a false statement. He also said he had never appeared on Fox News to talk about Bahrain and that it was in 2010 when he last appeared on Fox News to present his autobiography." "I am dismayed at reports that attribute to me false allegations regarding U.S. government attempts to destabilize the governments of Bahrain and Egypt, I did not make these statements, and they do not reflect my views. Moreover, to the best of my knowledge, the interview never happened." It's hard to know what it will take before the U.S. finally admits the depth of its Bahrain problem and stops denying that the relationship needs an overhaul. Could the attack on Malinowski be what finally rouses Washington? U.S. interests in Bahrain clearly can't be protected by the volatile ruling family. If anything is going to change, Washington needs to respond forcefully to the Malinowski incident by publicly declaring it is in the market for new political engagement in the country, with Al Wefaq and with other opposition forces, including those whose leaders are currently in jail.